My inquiry is not about church music, but I am hoping that you will find my purpose compelling enough to share a copy of your score. It has recently come to light that there is an unmarked mass grave in Toronto containing the remains of 75 “British home children” and their illegitimate babies. If you’re not familiar with the term, the British home children were orphans and/or destitute children sent by the thousands, mostly to Canada and Australia, to work as farm or domestic labourers. An organization of BHC descendants has identified these 75 children and raised money to erect a monument on the site. 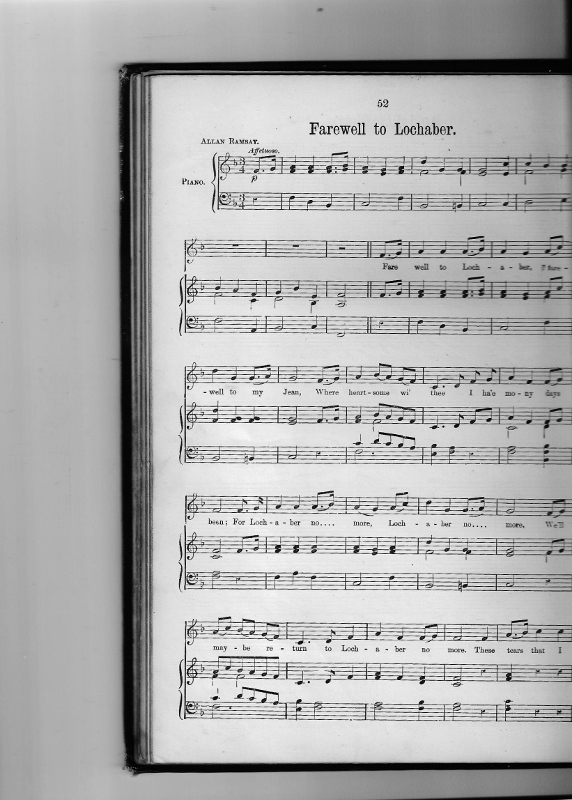 I have written lyrics to Lochaber No More for the occasion of the monument dedication this fall, and I’m looking for a small vocal group to perform it. However, I have no knowledge of choral arrangement, just the melody and a guitar chord progression, so it would be very helpful if I could provide the singers with a ready-made arrangement. If you are willing to share your score with me, or to discuss it further, you can contact me at the email address I used to enter this comment. How did the performance go, I wonder?